You have seen before and after pictures – from no hair before to a magical transformation of a head full of hair after. What do such advertisements make you believe – that such a transformation happens and if you suffer from baldness – the person in the picture could be you. There is definitely some truth to it. Hair transplant can indeed transform the way you look. It can surgically restore your natural-looking hair and give you the desired look. However, as the old saying goes, expect less to be happy. This is not to say that your post transplant look will not be up to your expectations, it might even exceed it. But, it is very important for you to understand – at the very onset – that a successful hair transplant is contingent upon various factors. Let us dig deeper and understand it in some detail. The basics first – hair transplant is a procedure wherein hair from the donor area are surgically removed and transplanted on to the recipient area. It normally is of two kinds – FUT (Follicular Unit Transplantation) and FUE (Follicular Unit Extraction). In the former, a narrow strip of scalp is removed from the donor area and follicular units from this strip are surgically transplanted. Whereas in an FUE hair transplants the individual grafts are extracted and transplanted on to the balding area. FUE hair transplant is preferable technique these days. The results from both the kind of procedures depend on a host of reasons, including the availability of donor hair. While some patients may get a thick mane, others, especially older patents might just get a combover. Some patients have unrealistic expectations like a low hairline, which might not be age-appropriate, or volume and thickness they had when they were much younger. It is important for patients to keep it real and perhaps share their expectations with the surgeon, who can discuss those in detail. The type of transplant you choose also has a bearing on the results. It is here that the surgeon or expert you consult will make a hell lot of difference. You would need an expert who can give you personalized advice depending upon your medical history as well as recommend the right procedure. In addition, the expert will play an important consulting role in post transplant care. After the hair transplant, you can resume your normal routine after a few days. However, post transplant is an important phase and requires you to be careful and consult the expert periodically to minimize chances of any infection. 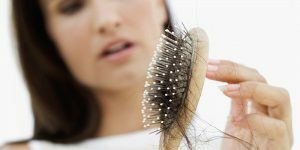 Moreover, don’t be alarmed when the transplanted hair falls out after a week or two – it is absolutely normal. That will make way for new hair to grow and most people see the expected results nine to twelve months after the transplant. During this period, it is advised that you be patient and talk to your expert regularly so as to address any misgivings that may arise due to higher expectations or lack of knowledge. a) Diet – what you eat is perhaps what you become. Post transplant, your diet will play an important role in giving your scalp the required nourishment. Green leafy vegetables, protein and essential vitamins are extremely important. Make them an essential part of your diet. b) Exercise – This will enable proper blood flow and would also ensure that you combat stress – a very important reason for hair loss. c) Medication – What you put on your scalp after the surgery is important and can have a bearing on your transplanted hair and their growth. Do not self medicate. Do what the doctor says because they know what is good for you. As you can conclude from the above – your post transplant look is dependent upon various factors and if you expect something magical to happen (very much like the before and after pictures) without paying attention to all the said factors then you are bound to be disappointed. The bottom line for you is – keep your expectations real and consult the expert you think can truly help you. A fascinating discussion is definitely worth comment. I believe that you need to publish more on this issue, it might not be a taboo matter but typically people do not speak about such topics. To the next! Cheers! !